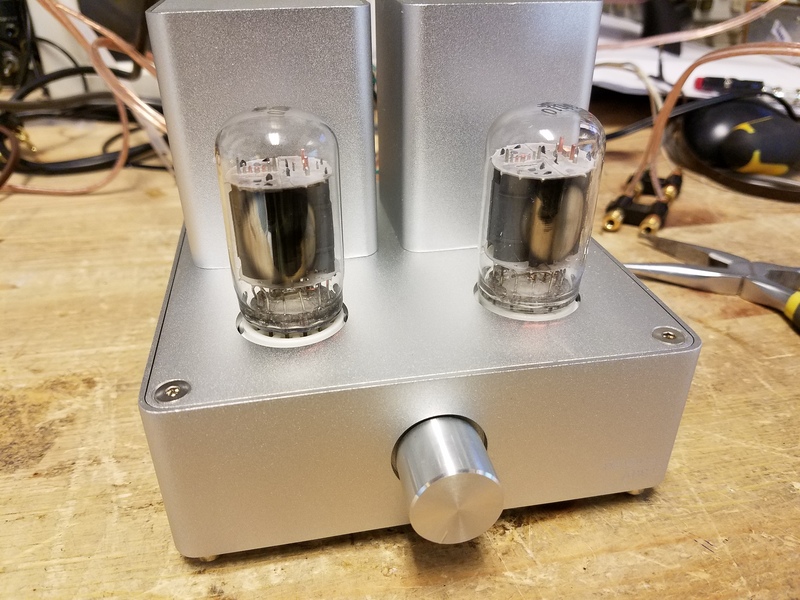 I recently picked up an interesting little tube amp via a group buy on Massdrop, the Gemtune APPJ PA1501A stereo tube amplifier. Try saying that three times fast! It’s a cute little single-ended stereo tube amp using a pair of 6AD10 Compactron tubes which have two functional sections, one voltage amplifier pentode used for the amp’s input stage, and a beam power tetrode used for the amp’s output stage that’s fairly similar to a single-ended old school (no suffix) 6L6. The manufacturer suggests it’s good for 3.5W of output power, single-ended, per channel. And it looks good, too! Not bad for under $200. The 6AD10 Compactrons used in this amp were originally used as integrated audio sections (detector/driver and output) in a number of televisions and combination units towards the very end of the tube era but not many other places, so while they’re not as common of an “odd tube” as something like a 5AQ5, etc. 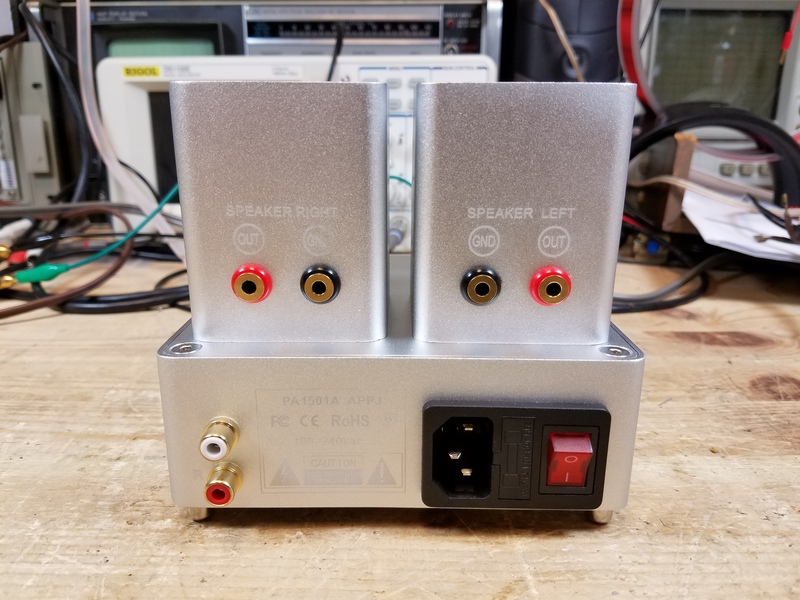 they’re readily available, and they don’t get talked up much for audio use other than in this amp (and rebranded versions thereof) and some sites about homebrewing with junkbox tubes. As such, NOS replacements can be had for as low as $5 if you want to try different brands of tubes and see how they change the sound. The amp is physically quite small, under 6″ cubed, and has a very minimalist design. Everything is in mid-matte silver with subtle labeling, also available in black. There’s a single volume control on the front sporting a machined metal knob that feels decently weighty, a pair of ceramic 12-pin Compactron sockets, and output transformers hidden inside shrouds with banana plug ports on the rear. 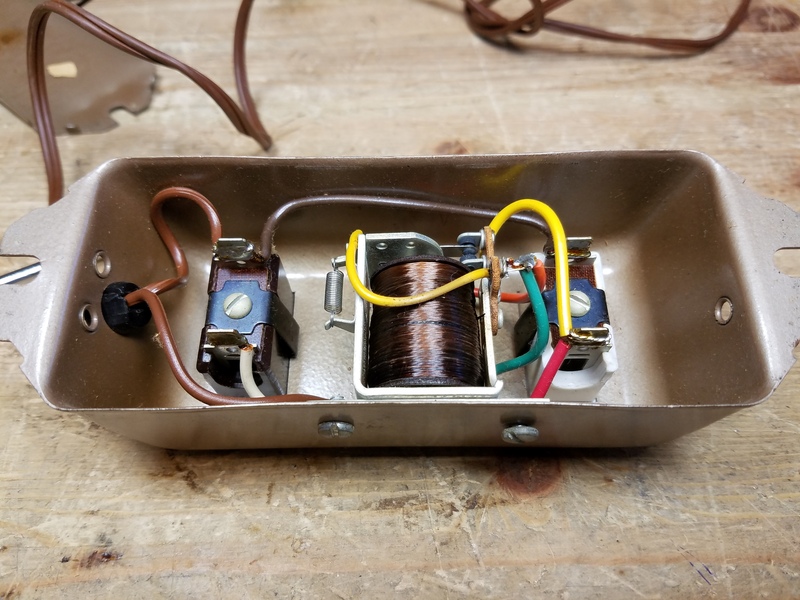 The manufacturer names the output transformers as Japanese Z11-EI48 models which I assume is meant to signal quality, although there’s still no substitute for more iron in and output transformer no matter how carefully the laminations are stacked and windings are threaded. There’s also the input RCA jacks, IEC power input, fuse, and switch. Very minimalist. The banana plug spacing is perfect to accommodate standard separate, or dual banana plug arrangements. With only one input (and a low power rating), this is really meant to be a single-source desktop amp driven from a DAC or high-end sound card. Inside, there’s a switching power supply and an assortment of Nichicon and Rubycon capacitors. There appears to be a solid-state stage ahead of the tubes based on the TO-220 transistors up near the volume control. Lifting off the top, there’s a shield protecting the output transformers from picking up interference from the switching power supply located below them, and an assortment of passive components supporting the gain stage and power stage of the 6AD10 tubes. There are also a pair of LM431 “Adjustable Precision Zener Shunt Regulator” in an SOT-23 package to provide power regulation. Time to see how it stacks up. 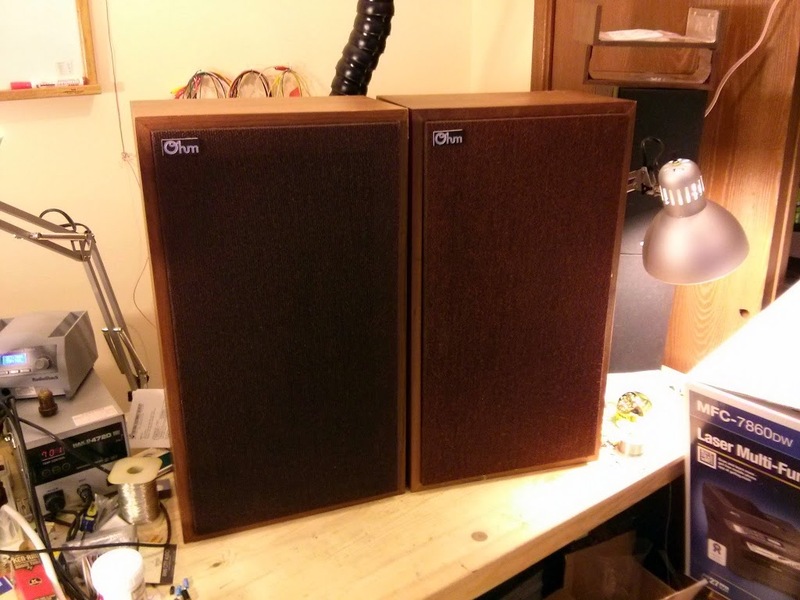 I used a set of Klipsch RB-4 II desktop speakers, and a set of Ohm Acoustics Model D speakers for sound tests. For test equipment, I used the Keithley 2015P multimeter for some quick checks, the Sencore PA81 Stereo Power Amplifier Analyzer, and the Audio Precision System One. All tests – both listening and performance – were administered after the amplifier had a chance to break in by playing a 1 kHz tone into an 8 Ohm dummy load for approximately 8 hours, then sat overnight, and allowed to warm up for 15 minutes before testing to ensure everything has had a chance to unlimber after manufacturing and shipping. I’d have to say that I enjoy the sound of the amp well enough. Both the Klipsch and Ohm speakers are quite efficient, and I never felt like it was really straining to give me the volume I wanted, without much distortion. Mid-bass through treble was well defined, but the bass was much more reserved than I expected it to be given the published specifications. The amp itself was very quiet even with the volume turned up at no signal, somewhat surprisingly. Running in Class A certainly helps. The fit and finish was probably a 7/10. Some of the machined edges were a bit rough, and the machined knob manages to actually be *sharp* in one spot. The volume knob doesn’t rotate perfectly smoothly through it’s travel, it binds slightly in the middle. The transformer covers are a nice touch with the standard-spacing banana plug receptacles on the rear, but it’s also obvious they’re concealing small output transformers. With an output transformer, the more iron you have the better bass you’ll get. Small transformers limit the low-end power available but large, good quality transformers quickly get expensive. The electrical measurements did put the feeling about the bass into some context. First, the output transformers appear to be designed for an 8 ohm nominal load, as that’s where they delivered the greatest output power. 6- and 4-ohm connections delivered lower amounts of power respectively due to the mismatch but only moderately. At 4 Ohms, the apparent power reduction was around 10%. 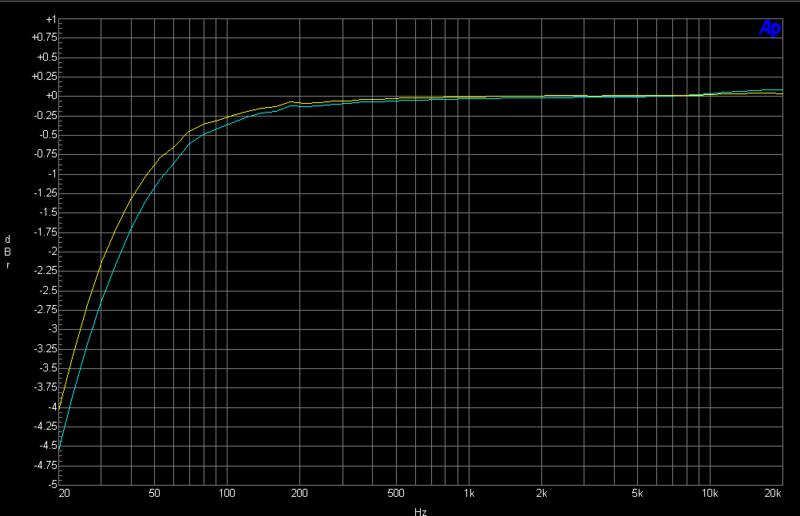 Both the power output sensitivity measurement, and the frequency response, were somewhat out of bounds however. Gemtune proposed 3.5W into 8 Ohms with 500 mV sensitivity, in other words, with the volume control turned to maximum applying a 500 mV signal to the input jacks will cause the amplifier to deliver 3.5W into an 8 Ohm load. As shown on the “Sensitivity Into 8 Ohms” my example of the amplifier fell somewhat short of this goal, delivering only 2W at that input level. It took about 1.5V at the input terminals for 3.5W output. 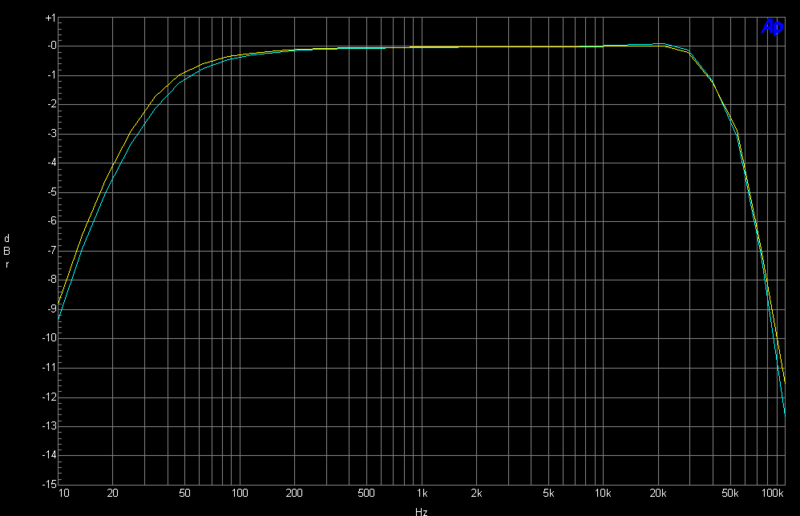 Into 4 Ohms, the amp fared even worse making about 1.7W with 500 mV, rising to 3W at 2V. At those power levels, I’d be worried about damaging something if operated that way long-term. The kink in the sensitivity charts occurs about 700 mV and gives about 3W into 8 ohms or 2.7W into 4 Ohms, above that it tapers off as the output tubes are being pushed to their maximum and more input signal can’t drive them any harder. I wouldn’t recommend driving it harder than 700 mV at full signal, which caps this amp’s effective power to just shy of 3W into an 8 Ohm load and a little lower into a 4 Ohm set of speakers. 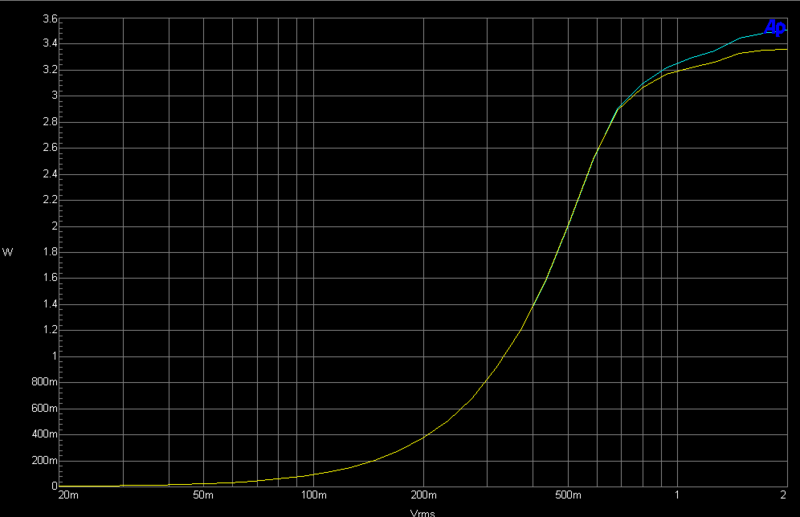 Due to individual differences in the tubes, the power output starts to diverge at the extremes of the chart. More markedly at 8 Ohms than 4, interestingly enough, likely due to the lower overall power output at 4 Ohms. Frequency response, 10 Hz – 100 kHz, into 8 Ohm load. 0 dB @ 1 kHz. 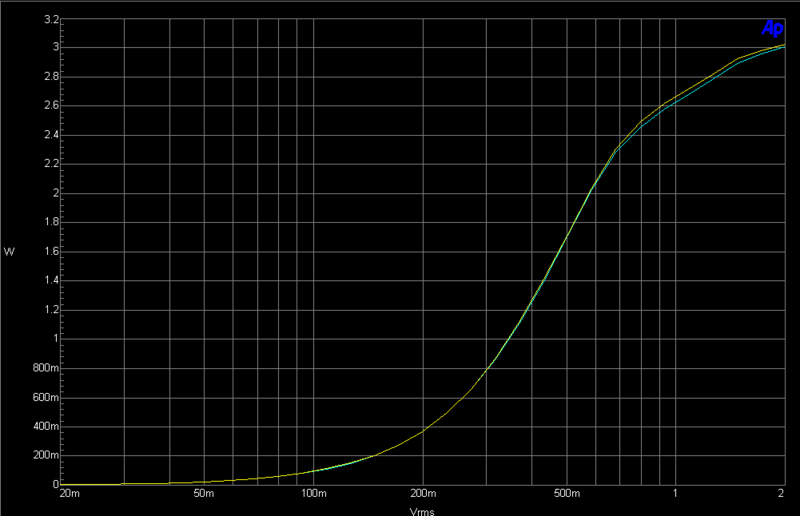 Frequency response, 20 Hz – 20 kHz, into 8 Ohm load. 0 dB @ 1 kHz. The frequency response was given as 30 Hz – 40 kHz +/- 1 dB. I’ll give them “close enough” on the high end (-1 dB just shy of 40 kHz) since that’s well beyond human hearing anyway. The low end was a bit disappointing, though, with the published roll-off being more optimistic than reality proved. The channels diverged by 0.5 dB on the low end, although as the channel separation is less than the flatness specification (0.5 dB < 1 dB) this isn’t something where I’ll give them a negative mark. However, the -1 dB point was located at about 46/55 Hz; at 30 Hz it’s down to -2.3/-2.65 dB and at 20 HZ it’s down to -4/-4.55. This definitely explains why I felt the bass was a bit lacking. That’s not to say I think the amp is a bad performer. I think it’s a good, starter tube amp. 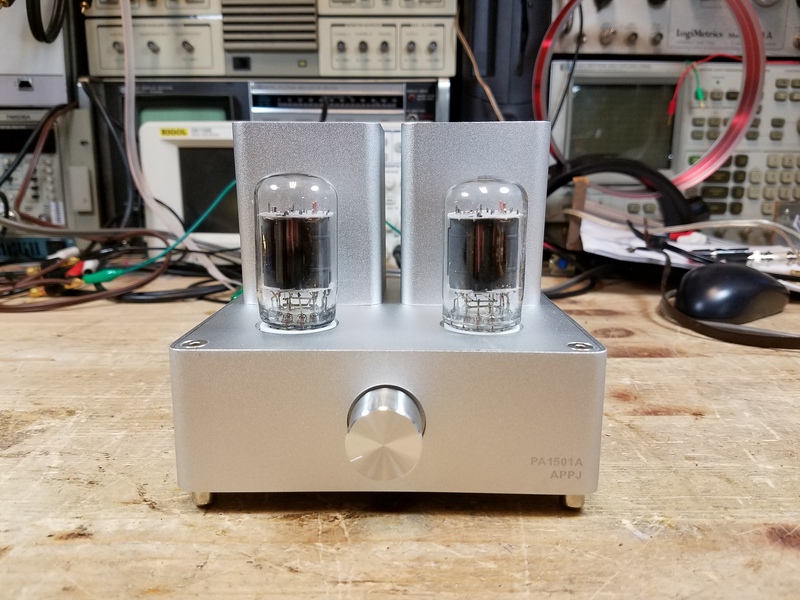 It’s not trying to be anything more than what it is, which is a slightly novel desktop tube amplifier with a sleek and minimalist design that will fit in nearly anywhere. The 6AD10 tube is an interesting touch, and they’re available pretty inexpensively. Overall, this is a 3/5. It’s value matches the price paid for it, and this type of performance is what you get for that price. A great splurge for a person just getting into audio in high school or college, someone who wants a small tube amp for their desk and wouldn’t mind having someone ask about it, someone who likes oddball tube amps, or who just wants something a little different. The Fisher 400 is a very well engineered, and very collectible, vintage stereo receiver with an iconic champagne faceplate and prominent bank of controls. 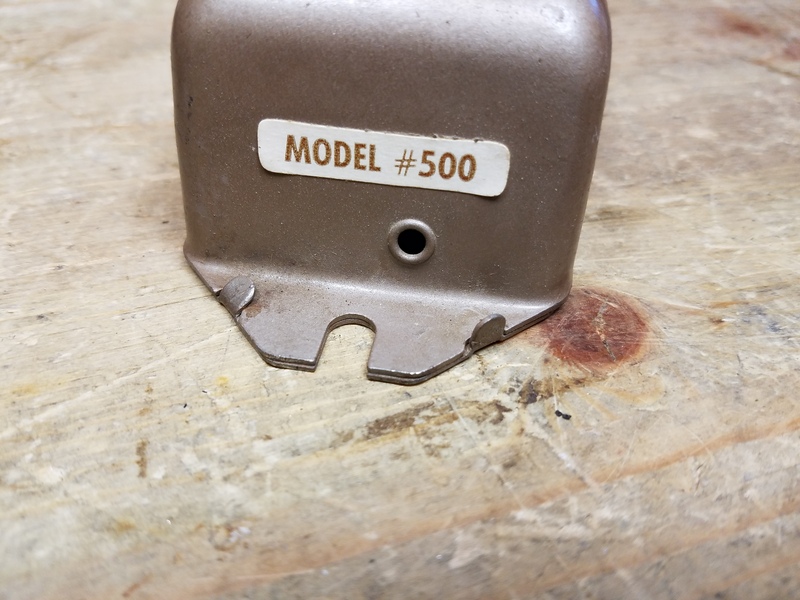 This one came through the shop after being stored in a garage attic on Camano Island for more than a few years, but somehow managed to be in good overall shape with just some minor corrosion. This one has all the original Fisher tubes still installed. Underneath, there’s an awful lot going on, but it’s laid out pretty cleanly and accessibly. There’s not a lot of extra room under the chassis, but it doesn’t feel cramped either. Everything has a place. 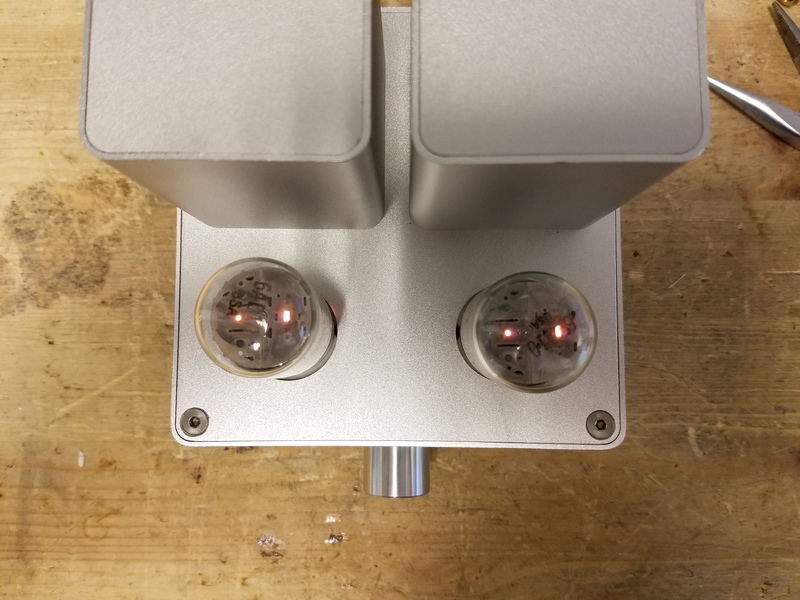 It doesn’t feel cramped for most of the signal components, but there are quite a few capacitors mounted in large cans and it’s a challenge to fit them all into the available spaces with solid, safe connections. 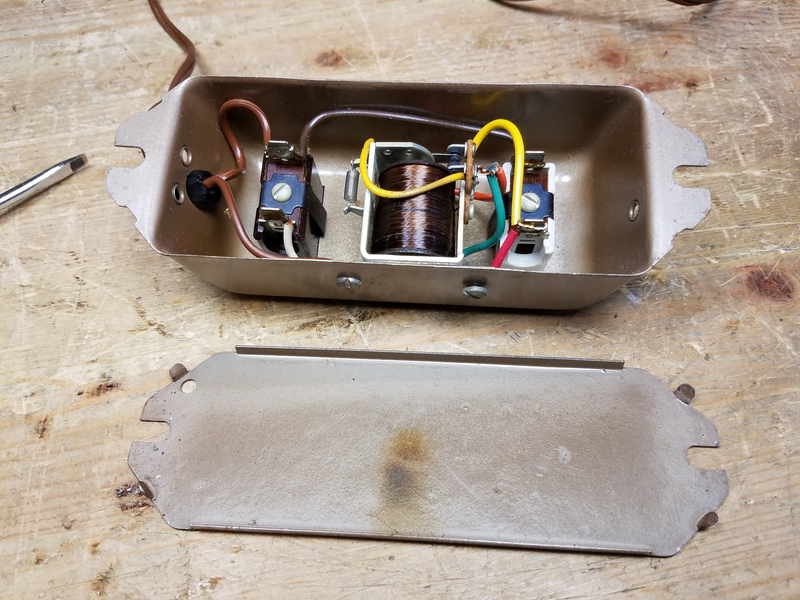 The cans on this chassis are very difficult to remove, unlike the Scott cans from the same era, so it’s more effective to add capacitors below the chassis. In this case all long-life Nichicon electrolytic capacitors. Replaced the original, leaky rectifier diodes with new 1N4007s. A printed schematic snip makes a great shop aid. This was taken part way through rebuilding the power supplies. All in all, five or six new terminal strips were added and capacitors layered across one another at right angles. All of these are Nichicon electrolytic capacitors, with the B+ filter capacitors being 10,000-hour long lifetime models, and the other bulk capacitors being de-rated 5,000- or 8,000-hour lifetime models. It should be quite a while before the power supply section of this amplifier has a failure. After replacing the electrolytic and paper capacitors, it was time for the first power-up. The 7868 output tubes can be problematic, so for the first power-up the output tubes were removed. Probing for signals at the output, only one side was passing a signal through the full chain. Using the scope to trace the signals, the driver/phase inverter 12AX7 was not lighting. The tube tested fine in an external tester, but the socket had no connectivity. The area around it was corroded, so it was obvious the socket needed to be replaced. With this resolved, signal showed up properly at the grids of all four output tubes. It was time for some final checks and adjustments. First was to dial them back a little bit and add some more safety with the bias, adding about -1V by changing the 1K divider resistor in the bias supply to an 820 Ohm resistor. Then, double-checking the bias voltage was present on all of the grids. Since this amplifier uses fixed bias, there’s no bias pots to adjust here. After the first power-up, it definitely did pass a signal all the way through, but it sounded really, really bad. 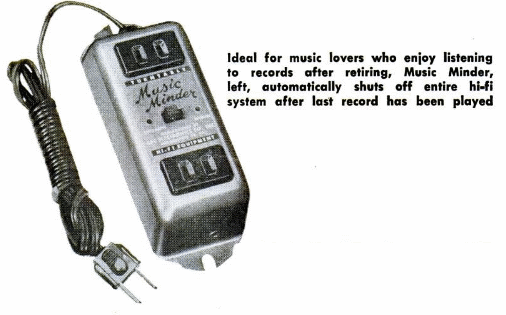 The obvious culprits were the ceramic capacitors which were still a part of the original audio signal chain. Many seemed to have cracked bodies around the leads, and it seemed likely this could lead to internal failures. All the ceramic caps in the audio signal path were replaced with film capacitors. Much, much better. Sounds great, in fact! Some control cleaner in the pots and switches took out the last bit of crackling on audio inputs. 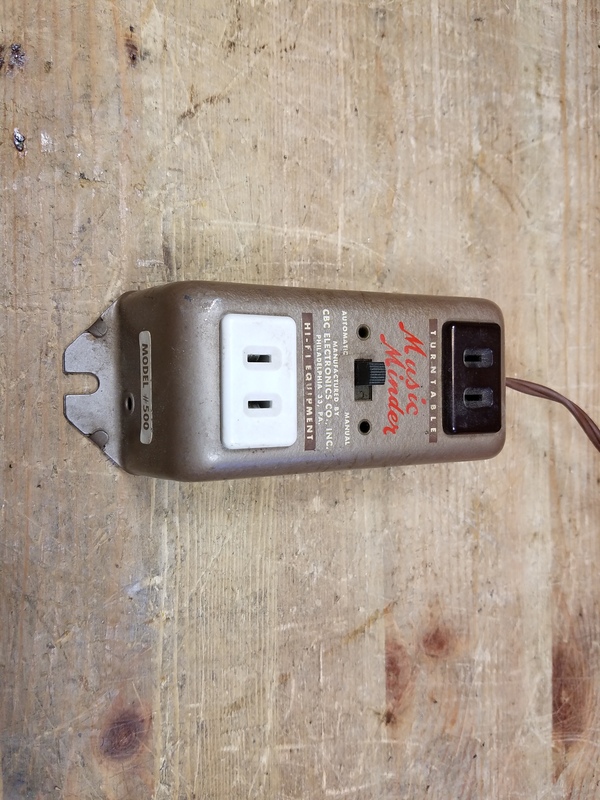 The dial scale in the Fisher 400 is edge-lit by two 6.3V fuse lamps. One was burnt out, and the other just wasn’t very bright, you couldn’t really tell when it was on. Both were replaced with new LED fuse lamps which should have a very, very long lifespan. With the audio amplifier sorted, it was time to move on to the FM receiver, which wasn’t receiving anything. Injecting the IF signal into the primary of the first IF transformer did produce a signal, but nothing made it from the antenna through the front end. 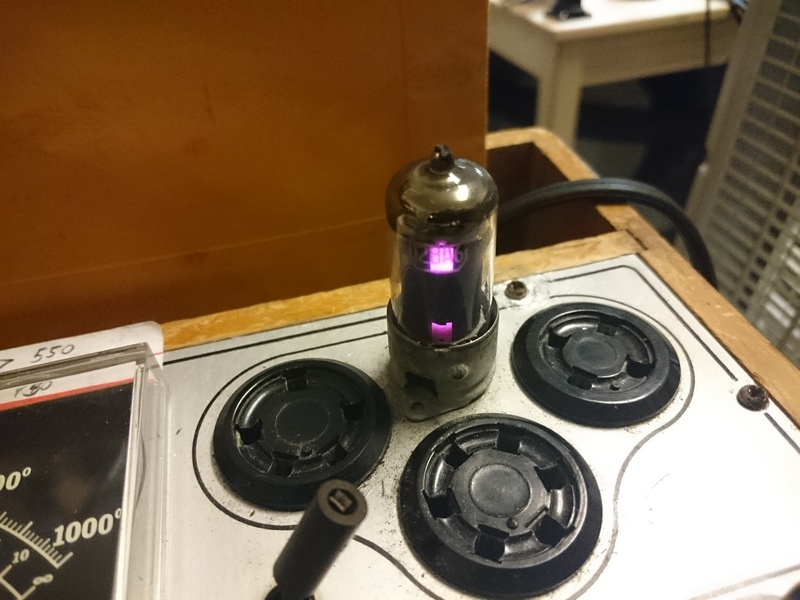 Both the 6HA5 RF amplifier and 6BA4 oscillator/mixer tubes had no emissions and were replaced, which brought the FM receiver to life immediately, and with the dial scale nearly perfectly tracking already. Initially received THD on FM was pretty good to start, too. Not too far off from the 0.3% THD over FM. It was really just a matter of touching up. With these and many more alignment adjustments, on a strong and clear station, received THD settled at 0.22%. Not bad. The IF chain, front end, and stereo MPX needed only very minor adjustments. The radio sounds fantastic on strong and clear stations, but weaker stations quickly picked up high frequency noise. There are two separate high filters, one in the FM receiver itself, and one in the audio amplifier’s tone controls to help address this situation but ultimately this is a receiver that benefits strongly from a top quality antenna. Quite a few parts came out of this Fisher 400 to make it fully functional again, but now it’s in top condition and sounds great! This Bose® 901 Active Equalizer, Series VI, came into the shop recently. These are some of the most recently produced Active Equalizers, although they’re still potentially a few decades old at this point in time. This is only the second Series VI that’s come in for repairs to Rain City Audio. The owner reported it was intermittently crackling after playing for a while. After all new caps and new op-amp chips, this one sounds great! It’s pretty, but this 12BA6 tube has amplified for the last time. Vacuum failure has led to a gas intruding into the vacuum, and it makes a great light show when it’s being tested! As cool as it looks, this would cause some significant damage in a radio if it were operated that way. 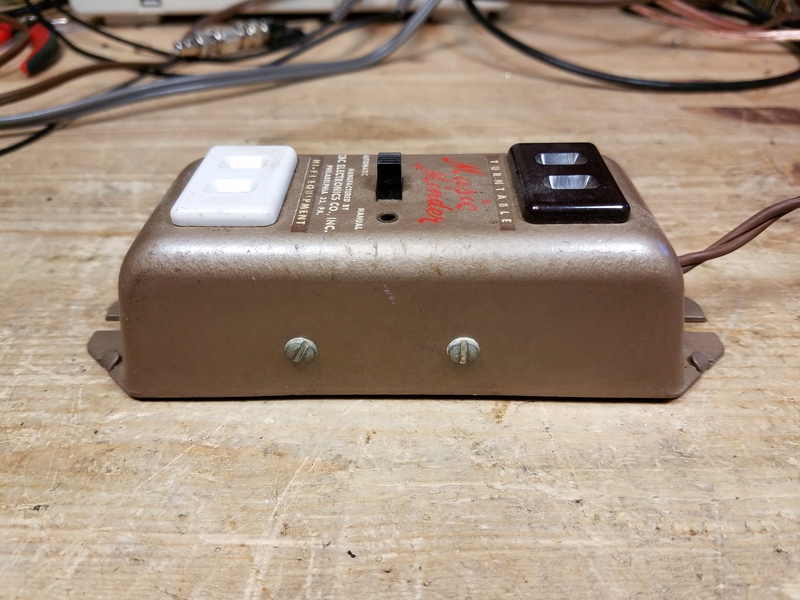 This Bose® 901 Series II Active Equalizer, #65097, just came through the shop for an overhaul. It worked briefly, but failed quickly on its original components. Nothing that an overhaul can’t take care of! This particular unit had its three main power supply capacitors replaced, but the rest was all original. After all new components, upgraded output capacitors, and a thorough cleaning and testing session, this Active Equalizer works and sounds great!